Doctors are frustrated with time spent on clinical documentation and how it cuts into patient care. A third of physicians now spend over 20 hours a week on paperwork and administration, equivalent to 4,000 clicks a day in the digital era. For many, these clicks follow them from the office back home and to everywhere in between. According to a recent study, family doctors spend 86 minutes of nightly “pajama time” tethered to their EHR. This trend toward a work day full of administrative tasks and screen time is not what physicians signed up for. How can doctors streamline clinical documentation, get back time with patients and avoid burnout? Cloud-based dictation is one therapy that many physicians are turning to, especially as healthcare goes from digital to mobile. For doctors experiencing burnout, dictation may be the perfect way to get back hours of lost time. EHR adoption in the US has been swift, but it has also created headaches for physicians who find themselves spending more time documenting care an less time providing it. Especially for doctors who aren’t fast at typing, entering the patient narrative into an EHR can be a major time sink. According to medical dictation giant Nuance, every hour dictated can save 2.5 hours. That’s because dictation is three times faster than typing on a computer, generally clocking in at 150 words per minute. 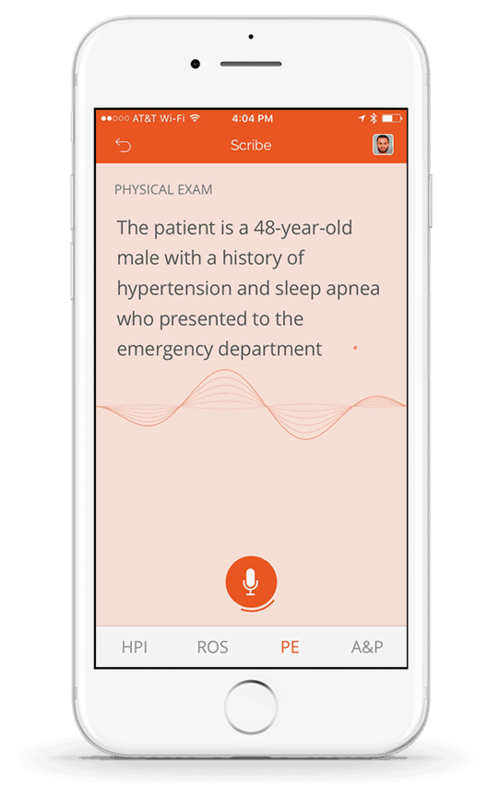 And thanks to huge leaps in speech recognition software, medical dictation as no problem handling the technical language that comes along with clinical narratives. Doctors on the move need tech that keeps up, and cloud-based dictation offers just the solution. 80 percent of physicians already use a personal mobile device to communicate patient data, so why not dictate to the tiny computer that’s already in your pocket? About a third of cloud-based dictation users do just that, choosing to speak directly into their mobile device. This means clinical documentation is not only faster, but incredibly portable. As Nuance likes to say, the patient narrative can begin in the exam room, get amended at your office and finished in a conference room. Lots of physicians are already using their smartphone and automated dictation software to streamline clinical documentation. One example is Mobius Scribe, a mobile app that embeds Dragon Medical software to provide seamless dictation directly into the EHR. Scribe shows the spoken words on the screen, and that text is immediately sent to the appropriate patient chart. These efficiencies speed up dictation and allow for realtime clinical documentation. Scribe is available as part of Mobius Clinic, a suite of iPhone-based software solutions that act as a ‘remote control’ for EHRs. If you know a doctor feeling burnt out by long hours and too many clicks, suggest medical dictation. It just might be the solution they’re looking for.